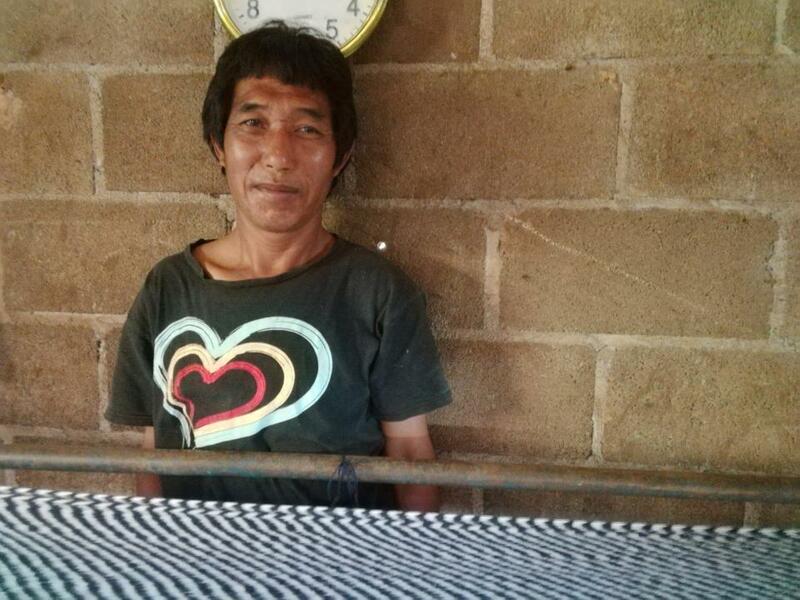 A loan of $2,000 helped to invest in raw materials to secure consistent weaving work and to increase his income potential. Tadi has experienced a tremendous amount of change in his lifetime – he was born into a world where his tribe, the Mlabri, still lived as hunter-gatherers in the forest. After slash and burn destroyed the forests, he spent time trapped in a cycle of debt slavery working in the rice fields. For him, hammock weaving was an opportunity to take control of his destiny and to forge a happier way of life. He and his wife, Yadi, are two of the elders and leaders of the village and have six children together. Yadi is an expert hammock weaver and he likes to joke that he can’t let her get too far ahead of him! Through this loan, Tadi will be able to distribute his weaving work evenly throughout the year and earn enough to comfortably support his family. This helps him make time for teaching tribal traditions to the younger generation (like hunting and fishing) while building a brighter future for his children. It creates employment opportunities for vulnerable populations living in remote rural areas. Yellow Leaf Hammocks is a for-profit social enterprise that trains and supports artisan weavers as they create high-margin luxury hammocks. By laying the foundation for a sustainable micro-economy, the organization is helping alleviate poverty, social injustice and environmental degradation for rural hill tribes in northern Thailand. The enterprise is a wholesale hammock seller that distributes its products through retail boutiques and e-commerce websites. Kiva lenders’ funds are used to help artisans buy the raw materials to make hammocks. Additionally, the funds are used to expand the distribution network to increase hammock sales globally. Yellow Leaf Hammocks joined Kiva through our Experimental Partnership Program, and has therefore received a lighter level of due diligence. Accordingly, loans associated with this partner carry a higher level of risk than typical Kiva loans. Like Kiva, Yellow Leaf Hammocks is committed to social equity and cultural preservation. By helping artisans produce comfortable, hand-woven hammocks, this for-profit social enterprise creates safe, high-paying weaving jobs for hill tribe artisans who have been traditionally poor and marginalized. Kiva lenders’ funds will be used to connect these artisans with the global economy via the internet, enabling them to reach higher-value markets and stabilize their incomes even in the slower seasons.